In this post I take a journey into the past and relive the days of arcade games. My colleagues at the Hackerspace Phnom Penh decided to make a game arcade using Raspberry Pi running PiPlay (formerly called PiMAME) and couple of old Xbox controllers. Download the PiPlay 0.8.0 Beta 6 image. The Raspberry Pi can't power all peripherals. You'll need a compatible powered USB hub to power both Raspberry Pi and Xbox controllers. The additional USB slots on the hub could used to connect keyboard during configuration. # Download the latest PiPlay SD Card. # Write to card using unetbootin or dd command. Be Patient, This process takes some time. # Boot the Raspberry Pi. The default username and password is 'pi' and 'raspberry'. # Use 'raspi-config' to expand the file system. # (Optional) While you are at it, You might want to configure timezone change keyboard layout as well. 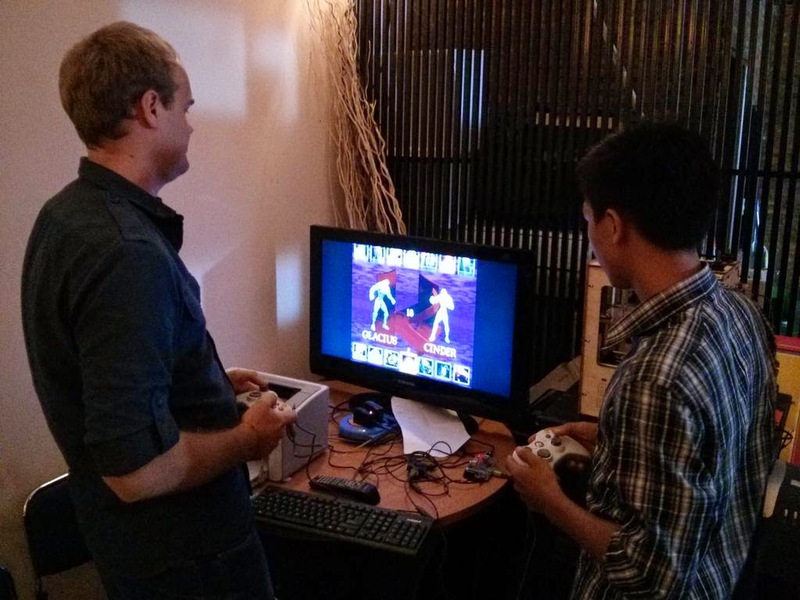 #Download some game ROMs and upload them to Raspberry Pi. More instructions about the setup are on my HackADay.io Gaming Console with Raspberry Pi PiPlay page.